The Author Fair event is FREE! 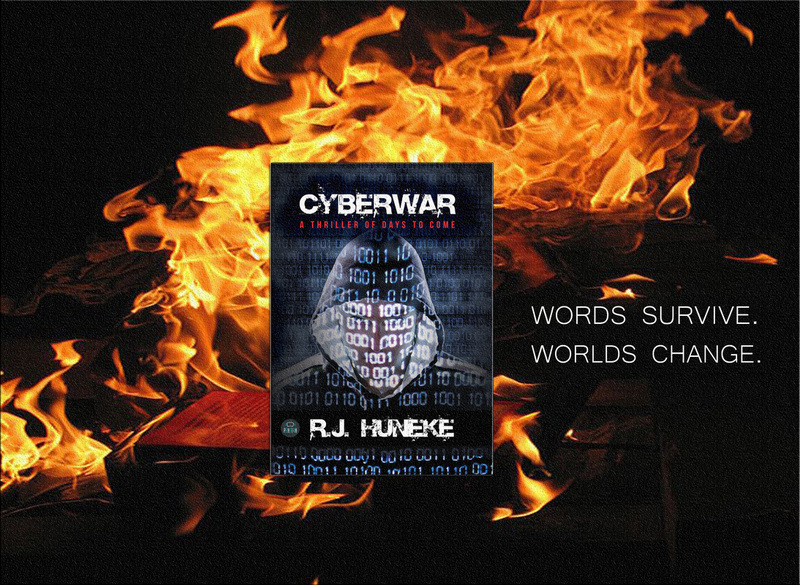 R.J. Huneke will have a table on the main floor, so look for his huge CYBERWAR banner and the tumblers of binary! Rune Works Productions will once again have a small press booth # 1061 on the New York Comic Con floor. You heard it here first! 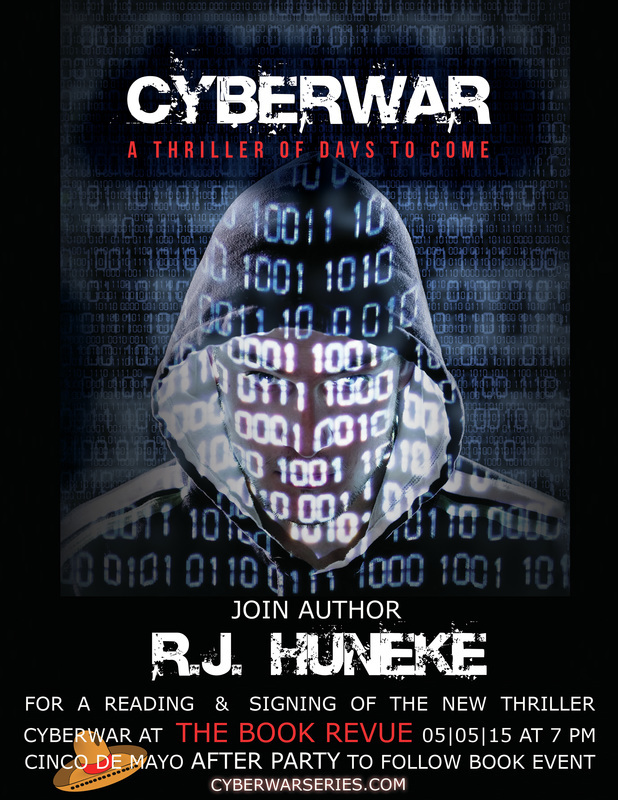 R.J. Huneke will be there signing copies of Cyberwar and possibly some great work from the comic book side of things at POWkabam. ​And you never know what other artists will be dropping in! Rune Works Productions is bringing DANGELUSRAWKS, that is Daniel Angleus the host of the Gaming Stream the RAWKHOUSE all the way from the U.K. to New York for the NY Comic Con 2016. DO NOT MISS IT! 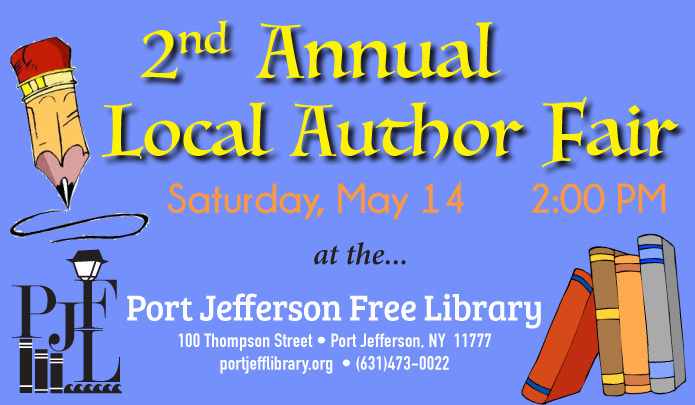 R.J. Huneke will be one of many authors and publishers on hand to read and sign books for patrons at the Long Island library event. ﻿Eternal Con﻿ is Long Island NY's large scale multi media pop culture convention. Held annually at the Cradle of Aviation Museum in Garden City, Eternal Con brings together the best in Comic Books, Collectibles, Gaming, Sci-Fi, Cosplay, Horror, and all things pop culture. R.J. Huneke will be on hand signing copies of Cyberwar at the Rune Works Productions booth with writer/artist Ivan O'Neill who is giving away free comic books for his upcoming series Blackwood State, which was colored by Kara Zisa and wedited by R.J. Huneke. Our RUNE WORKS Booth is on the first (the main floor)! Come find us and get your books signed! **R.J. Huneke will be speaking at 6 pm Friday night for Dune: 50 Years of a Sci-fi Classic LI Con Panel 8/14 at 6 PM in the Bay Room. *Friday August 14, 2015: R.J. Huneke will be on a special LI Con panel discussing the NSA Revelations and Privacy and Security in the digital era Snowden Crash: The NSA Revelations and what they mean for privacy with Ed Bishop, Izaac Falken, J. Morris, and Matt Newhall. Do not miss it! 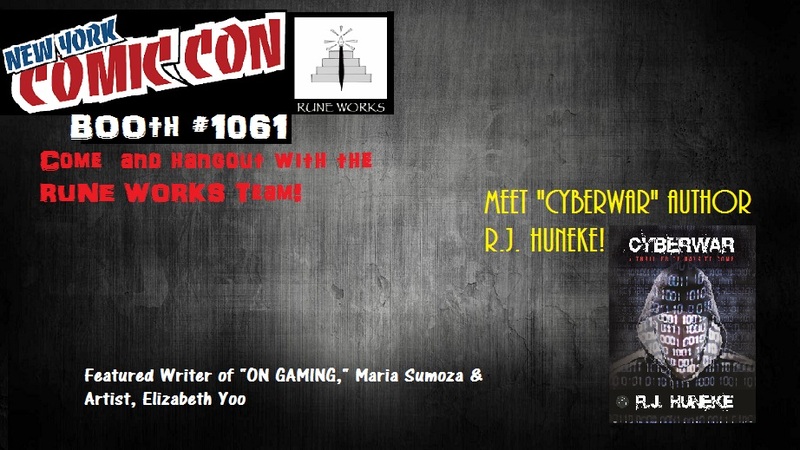 Rune Works Productions will once again have small press booth # 1061 on the New York Comic Con floor and R.J. Huneke will be there signing copies of Cyberwar. R.J. Huneke will be appearing on a panel at the Riverhead Free Library. The purpose of the panel is to discuss the process of publishing your book and addressing such questions as agent, query letters, publicity, etc. At the end of the discussion the panelists/authors will have an opportunity to sign and sell their books...including Cyberwar! This panel is currently scheduled for Wednesday, November 4, from 6:30 to 8:30 pm at the Riverhead Free Library.